Boswellia Serrata has been used extensively in Ayurveda for joint support and to provide an overall sense of well-being. AayurMed cultivates, sources, supplies and export Boswellia Serrata (Shallaki) for last 30 years across the globe. 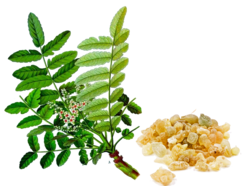 Our Boswellia Serrata (Shallaki)is used for various medical and cosmatics purpose. The Boswellia Serrata gum oleoresin consists of essential oils, gum, and terpenoids. The terpenoid portion contains the boswellic acids that have been shown to be the active constituents in boswellia. The extracts are typically standardized to contain 37.5–65% boswellic acids. Commonly known as ‘Indian Olibanum’. It is a large, branching, deciduous tree which grows abundantly in the dry, hilly parts of India. Boswellia is a balsamic tree that secretes aromatic oleoresins which are collected, when they dry into a gum, after exuding from the cuts of the bark. 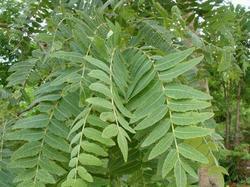 We are proud to introduce ourselves as one of the most leading suppliers ofBoswellia serrata extract from India. Boswellia serrata extract contains Boswellic acid and we manufacture grades up to 75% boswellic acid.